In the present study, an Ising-type multisegment nanowire (IMN) with ferromagnetic / non-magnetic segment structure is investigated by means of the effective-field theory (EFT) with correlations. The effects of the composition (p) and temperature (T) on the magnetic hysteresis properties are investigated in detail. The coercive field (HC) and squareness (Mr /MS) of the IMN is also derived from hysteresis loops as a function of p and T. In this system, it was found that the p and T have a significant effect on the magnetic behavior. When the obtained theoretical results compare with some experimental works of nanowire in view of hysteresis behaviors, a very good agreement between them is observed. R. Ghosh, D. Basak, Electrical and ultraviolet photoresponse properties of quasialigned ZnO nanowires/p-Si heterojunction, Appl Phys Lett, 90 (2007). S.W. Jung, W.I. Park, G.C. Yi, M. Kim, Fabrication and controlled magnetic properties of Ni/ZnO nanorod heterostructures, Adv Mater, 15 (2003) 1358-1361. J.D. Ye, S.L. Gu, S.M. Zhu, S.M. Liu, Y.D. Zheng, R. Zhang, Y. Shi, Fermi-level band filling and band-gap renormalization in Ga-doped ZnO, Appl Phys Lett, 86 (2005). J. Luo, Z.P. Huang, Y.G. Zhao, L. Zhang, J. Zhu, Arrays of heterojunctions of Ag nanowires and amorphous cairbon nanotubes, Adv Mater, 16 (2004) 1512–1515. C. Thelander, T. Martensson, M.T. Bjork, B.J. Ohlsson, M.W. Larsson, L.R. Wallenberg, L. Samuelson, Single-electron transistors in heterostructure nanowires, Appl Phys Lett, 83 (2003) 2052-2054. S. Park, S.W. Chung, C.A. Mirkin, Hybrid organic-inorganic, rod-shaped nanoresistors and diodes, J Am Chem Soc, 126 (2004) 11772-11773. V.S. Leite, W. Figueiredo, Spin-glass surface disorder on the magnetic behaviour of antiferromagnetic small particles, Physica A, 350 (2005) 379-392. T. Kaneyoshi, Ferrimagnetic magnetizations of transverse Ising thin films with diluted surfaces, Journal of Magnetism and Magnetic Materials, 321 (2009) 3630-3636. M. Saber, I. Lukyanchuk, M. Madani, A. Tabyaoui, A. Ainane, The dielectric properties of the KH2PO4/KD2H2PO4 superlattice, Chinese J Phys, 45 (2007) 58-74. I. Apostolova, J.M. Wesselinowa, Magnetic control of ferroelectric properties in multiferroic BiFeO3 nanoparticles, Solid State Commun, 147 (2008) 94-97. A. Lipinska, C. Simserides, K.N. Trohidou, M. Goryca, P. Kossacki, A. Majhofer, T. Dietl, Ferromagnetic properties of p-(Cd,Mn)Te quantum wells: Interpretation of magneto-optical measurements by Monte Carlo simulations, Physical Review B, 79 (2009). E. Kantar, M. Keskin, Thermal and magnetic properties of ternary mixed Ising nanoparticles with core-shell structure: Effective-field theory approach, Journal of Magnetism and Magnetic Materials, 349 (2014) 165-172. G. Salazar-Alvarez, J. Sort, A. Uheida, M. Muhammed, S. Surinach, M.D. Baro, J. Nogues, Reversible post-synthesis tuning of the superparamagnetic blocking temperature of gamma-Fe2O3 nanoparticles by adsorption and desorption of Co(II) ions, J Mater Chem, 17 (2007) 322-328. L. Xi, Z. Wang, Y. Zuo, X.N. Shi, The enhanced microwave absorption property of CoFe2O4 nanoparticles coated with a Co3Fe7-Co nanoshell by thermal reduction, Nanotechnology, 22 (2011). J.H. Lee, I.N. Lund, E.T. Eisenbraun, R.E. Geer, Silicide-induced multi-wall carbon nanotube growth on silicon nanowires, Nanotechnology, 22 (2011). G.S. Chaubey, V. Nandwana, N. Poudyal, C.B. Rong, J.P. Liu, Synthesis and characterization of bimagnetic bricklike nanoparticles, Chem Mater, 20 (2008) 475-478. L. Wang, K. YuZhang, A. Metrot, P. Bonhomme, M. Troyon, TEM study of electrodeposited Ni/Cu multilayers in the form of nanowires, Thin Solid Films, 288 (1996) 86-89. M. Chen, P.C. Searson, C.L. Chien, Micromagnetic behavior of electrodeposited Ni/Cu multilayer nanowires, J Appl Phys, 93 (2003) 8253-8255. L. Clime, S.Y. Zhao, P. Chen, F. Normandin, H. Roberge, T. Veres, The interaction field in arrays of ferromagnetic barcode nanowires, Nanotechnology, 18 (2007). Z.X. Song, Y.J. Xie, S.W. Yao, H.Z. Wang, W.G. Zhang, Z.Y. Tang, Microstructure and magnetic properties of electrodeposited Co/Cu multilayer nanowire arrays, Mater Lett, 65 (2011) 1562-1564. L. Piraux, J.M. George, J.F. Despres, C. Leroy, E. Ferain, R. Legras, K. Ounadjela, A. Fert, Giant Magnetoresistance in Magnetic Multilayered Nanowires, Appl Phys Lett, 65 (1994) 2484-2486. K. Liu, K. Nagodawithana, P.C. Searson, C.L. Chien, Perpendicular Giant Magnetoresistance of Multilayered Co/Cu Nanowires, Physical Review B, 51 (1995) 7381-7384. R. Sharif, X.Q. Zhang, M.K. Rahman, S. Shamaila, J.Y. Chen, X.F. Han, Y.K. Kim, Fabrication and Magnetization Reversal Processes for Co/Cu Multilayer Nanowires, Ieee T Magn, 45 (2009) 4033-4036. J.U. Cho, J.H. Min, S.P. Ko, J.Y. Soh, Y.K. Kim, J.H. Wu, S.H. Choi, Effect of external magnetic field on anisotropy of Co/Cu multilayer nanowires, J Appl Phys, 99 (2006). S. Dubois, E. Chassaing, J.L. Duvail, L. Piraux, M.G. 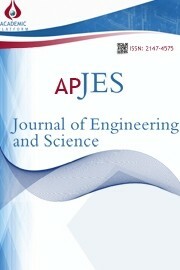 Waals, Preparation and characterization of electrodeposited Fe and Fe/Cu nanowires, J Chim Phys Pcb, 96 (1999) 1316-1331. K.Y. Kok, C.M. Hangarter, B. Goldsmith, I.K. Ng, N.B. Saidin, N.V. Myung, Synthesis and characterization of electrodeposited permalloy (Ni80Fe20)/Cu multilayered nanowires, Journal of Magnetism and Magnetic Materials, 322 (2010) 3876-3881. X.T. Tang, G.C. Wang, M. Shima, Superparamagnetic behavior in ultrathin CoNi layers of electrodeposited CoNi/Cu multilayer nanowires, J Appl Phys, 99 (2006). X.T. Tang, G.C. Wang, M. Shima, Layer thickness dependence of CPP giant magnetoresistance in individual CoNi/Cu multilayer nanowires grown by electrodeposition, Physical Review B, 75 (2007). P. Shakya, B. Cox, D. Davis, Giant Magnetoresistance and Coercivity of electrodeposited multilayered FeCoNi/Cu and CrFeCoNi/Cu, Journal of Magnetism and Magnetic Materials, 324 (2012) 453-459. J.J. Park, M. Reddy, C. Mudivarthi, P.R. Downey, B.J.H. Stadler, A.B. Flatau, Characterization of the magnetic properties of multilayer magnetostrictive iron-gallium nanowires, J Appl Phys, 107 (2010). Y. Peng, T. Cullis, G. Mobus, X. Xu, B. Inkson, Nanotechnology 18 (2007) 485704. Y. Peng, T. Cullis, G. Mobus, X.J. Xu, B. Inkson, Nanoscale characterization of CoPt/Pt multilayer nanowires, Nanotechnology, 18 (2007). H.P. Liang, Y.G. Guo, J.S. Hu, C.F. Zhu, L.J. Wan, C.L. Bai, Ni-Pt multilayered nanowire arrays with enhanced coercivity and high remanence ratio, Inorg Chem, 44 (2005) 3013-3015. P. Panigrahi, R. Pati, Tuning the ferromagnetism of one-dimensional Fe/Pt/Fe multilayer barcode nanowires via the barcode layer effect, Physical Review B, 76 (2007). M. Elawayeb, Y. Peng, K.J. Briston, B.J. Inkson, Electrical properties of individual NiFe/Pt multilayer nanowires measured in situ in a scanning electron microscope, J Appl Phys, 111 (2012). S. Valizadeh, L. Hultman, J.M. George, P. Leisner, Template synthesis of Au/Co multilayered nanowires by electrochemical deposition, Adv Funct Mater, 12 (2002) 766-772. K. Qi, X.H. Li, H. Zhang, L. Wang, D.S. Xue, H.L. Zhang, B.F. Zhou, N.J. Mellors, Y. Peng, Nanoscale characterization and magnetic property of NiCoCu/Cu multilayer nanowires, Nanotechnology, 23 (2012). F. Nasirpouri, Tunable Distribution of Magnetic Nanodiscs in an Array of Electrodeposited Multilayered Nanowires, Ieee T Magn, 47 (2011) 2015-2021. M.Y. Rafique, L.Q. Pan, A. Farid, From nano-dendrite to nano-sphere of Co100-xNix alloy: Composition dependent morphology, structure and magnetic properties, J Alloy Compd, 656 (2016) 443-451. V. Vega, T. Bohnert, S. Martens, M. Waleczek, J.M. Montero-Moreno, D. Gorlitz, V.M. Prida, K. Nielsch, Tuning the magnetic anisotropy of Co-Ni nanowires: comparison between single nanowires and nanowire arrays in hard-anodic aluminum oxide membranes, Nanotechnology, 23 (2012). Sirisangsawang, P., Rattanasakulthong, W., Pinitsoontorn, S. (2012). Composition dependence of structural, morphological and magnetic properties of Co (FCC)-Cu granular films. International Journal of Physical Sciences,7(46), 6044-6052. Lin, X., Ji, G., Gao, T., Nie, J., & Du, Y. (2012). Magnetic properties of Co–Cu nanowire arrays fabricated in different conditions by SC electrodeposition. Solid State Communications, 152(16), 1585-1589. Bran, C., Palmero, E. M., del Real, R. P., Vazquez, M. (2014). CoFeCu electroplated nanowire arrays: Role of composition and annealing on structure and magnetic properties. physica status solidi (a), 211(5), 1076-1082. Yang, H., Zeng, M., Yu, R. (2014). Magnetic properties of the NixCo 1− x/Cu multilayer nanowires. Materials Research Bulletin, 57, 249-253. N. Zaim, A. Zaim, A., M. Kerouad, Monte Carlo study of the random magnetic field effect on the phase diagrams of a spin-1 cylindrical nanowire, Journal of Alloys and Compounds, 663 (2016) 516-523. E. Kantar, Hysteretic features of Ising-type segmented nanostructure with alternating magnetic wires. Journal of Alloys and Compounds, 676 (2016) 337-346. E. Kantar, M. Ertas, Influence of Frequency on the Kinetic Spin-3/2 Cylindrical Ising Nanowire System in an Oscillating Field, Journal of Superconductivity and Novel Magnetism, 28 (2015) 2529-2538. E. Kantar, M. Ertas, Cylindrical Ising nanowire in an oscillating magnetic field and dynamic compensation temperature, Superlattice Microst, 75 (2014) 831-842. M. Ertas, E. Kantar, Cylindrical Ising nanowire with crystal field: existence of a dynamic compensation temperatures, Phase Transit, 88 (2015) 567-581. A. Feraoun, A. Zaim, M. Kerouad, Monte Carlo study of a mixed spin (1,3/2) ferrimagnetic nanowire with core/shell morphology, Physica B, 445 (2014) 74-80. E. Kantar, M. Ertas, M. Keskin, Dynamic phase diagrams of a cylindrical Ising nanowire in the presence of a time dependent magnetic field, Journal of Magnetism and Magnetic Materials, 361 (2014) 61-67. B. Deviren, E. Kantar, M. Keskin, Dynamic phase transitions in a cylindrical Ising nanowire under a time-dependent oscillating magnetic field, Journal of Magnetism and Magnetic Materials, 324 (2012) 2163-2170. E. Kantar, Y. Kocakaplan, Hexagonal type Ising nanowire with mixed spins: Some dynamic behaviors, Journal of Magnetism and Magnetic Materials, 393 (2015) 574-583. R. Honmura, T. Kaneyoshi, J. Phys. C: Solid State Phys. 12 (1979) 3979; T. Kaneyoshi, I.P. Fittipaldi, R. Honmura, T. Manabe, New Correlated-Effective-Field Theory in the Ising-Model, Physical Review B, 24 (1981) 481-484. J.W. Tucker, J. Phys. A: Math. Gen. 27 (1994) 659. Y. Kocakaplan, E. Kantar, M. Keskin, Hysteresis loops and compensation behavior of cylindrical transverse spin-1 Ising nanowire with the crystal field within effective-field theory based on a probability distribution technique, Eur Phys J B, 86 (2013). H. Magoussi, A. Zaim, M. Kerouad, Monte Carlo simulation of the magnetic properties of a spin-1 Blume-Capel nanowire, Solid State Commun, 200 (2014) 32-41. H. Magoussi, A. Zaim, M. Kerouad, Magnetic properties of a nanoscaled ferrimagnetic thin film: Monte Carlo and effective field treatments, Superlattices and Microstructures, 89 (2016) 188-203. M. El Hamri, S. Bouhou, I. Essaoudi, A. Ainane, R. Ahuja, Magnetic properties of a diluted spin-1/2 Ising nanocube, Physica A, 443 (2016) 385-398. J.S. Suen, M.H. Lee, G. Teeter, J.L. Erskine, Magnetic hysteresis dynamics of thin Co films on Cu(001), Physical Review B, 59 (1999) 4249-4259. H.W. Wu, C.J. Tsai, L.J. Chen, Room temperature ferromagnetism in Mn+-implanted Si nanowires, Appl Phys Lett, 90 (2007). S. Ishrat, K. Maaz, K.J. Lee, M.H. Jung, G.H. Kim, Fabrication and temperature-dependent magnetic properties of one-dimensional embedded nickel segment in gold nanowires, J Alloy Compd, 541 (2012) 483-487.